One of the most daunting things about case interviews is the uncertainty you’re faced with as you step inside the door. You have no way of knowing what they’re going to ask you, and they could ask you absolutely anything they want to. What if your interviewer is having a bad day and just feels like asking impossible questions?! Well, that’s what our frameworks are for. If you become familiar with them and learn how to apply them, you’ll be able to solve any case that is put before you. Welcome to the last in our series on Frameworks! In the first article of the series, we gave you a brief introduction to frameworks before exploring Market Sizing and Profitability in more detail in the second. In this article, we’ll be looking at Market Study. If you haven’t read the other two articles yet, we strongly encourage you to go back and catch up before reading on. 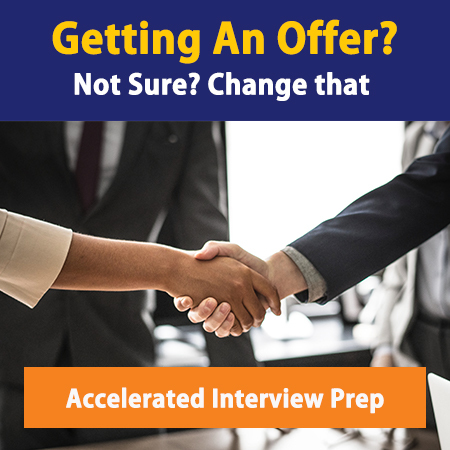 The goal of this series, as with everything we do here at Management Consulted, is better equip you for interview success. If you’d like to learn more about Frameworks and other things that you’ll need to know for your interview, grab a copy of The Consulting Interview Bible. Alternatively, if you’d like some 1:1 coaching time, where we can tailor our advice to your specific needs, grab an interview prep session here. ‘A man walked into a management consultant’s office and inquired about the rates for undertaking an assignment. “Well, typically we scope, structure and plan the assignment in advance, and charge $50,000 (plus sales tax and expenses) for three questions”, replied the consultant. “Isn’t that ridiculously expensive?” asked the man. The Market Study framework basically takes the Profitability framework and flips it on its head. Whereas the Profitability framework works when you have intimate knowledge of the client’s accounts, working from the internal to the external, market study starts externally and works its way in. From the external, the market, competitors, and customers are all factors that will play a part in helping you figure out a company’s revenue. From the internal, you have the company and the product or service. The company addresses the fixed costs, while the product or service addresses the variable costs. Almost every case that can be solved with a Market Study framework can be solved with a Profitability framework and vice versa. Market Entry – Should the client enter into this particular market or not? Or, to put it another way, is it going to be profitable for your client to enter the market? Market Growth – How can they increase their revenues? Price increase? Market Share – Why is the market share decreasing? You’ll be wanting to make sure your client’s revenues can grow at, or above, the rate at which the market is growing. The first thing you do is assess what type of question you are answering. Is it market entry, growth or share? Next, look at the external factors while remembering how important segmentation is. Not all segments are affected in the same way. Next look at the internal factors. How much does the company charge for their products? What are their distribution channels like? 1) What question is being asked? 2) Focus on the financial impact, even when you lead with this framework. When you’re approaching this type of question, identify 3-5 key areas and explore them in 20-30 minutes. Make a mental and verbal layout of your structure, before investigating each one and formulating your recommendations.